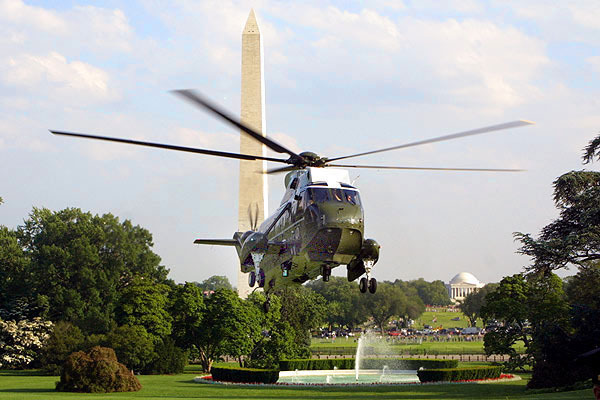 President George W. Bush returns home at the White House aboard his helicopter Marine One. June 5, 2002 - President George W. Bush returns home at the White House aboard his helicopter Marine One. The President has just returned home from his week-long trip to Europe and the Middle East. President Bush has pledged himself in a central role as peacemaker between Israel and the Palestinian Authority , seeking to keep both parties negotiating for peace.